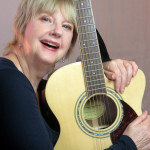 Book, Music & Lyrics: Shirlie Roden. 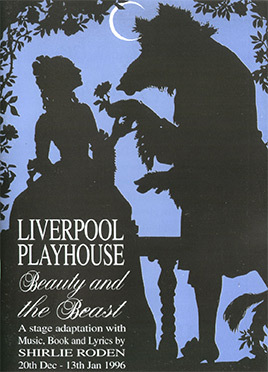 Liverpool Playhouse 1996. Also children’s amateur productions by MGR Theatre Group, Southport and Trbovlje Amateur Group, Slovenia. RIGHTS: Contact Singing Earth Music Company – enquiries@shirlieroden.com. Script and demo song cd available. Slovene Translation: Script and lyrics have been translated into Slovene for amateur productions. The story of Beauty and the Beast is one of the most magical fairy tales, but beneath the traditional storyline lies an inner meaning which is a wonderful vehicle for teaching us about ourselves and each other. A hideous beast, trapped behind a mask of ugliness by a witch’s curse, is saved by the love of a beautiful young girl, which transforms him into a handsome prince. We all have the power of transforming our own inner “Beast” into a Prince with unconditional love, and this play with music uses both comedy and pathos to teach the lesson. Cast size: seven (or five, with doubles) plus children’s choir/dancers.